Our menu offers you a choice selection of regional wines, hot and cold drinks, and small snacks. 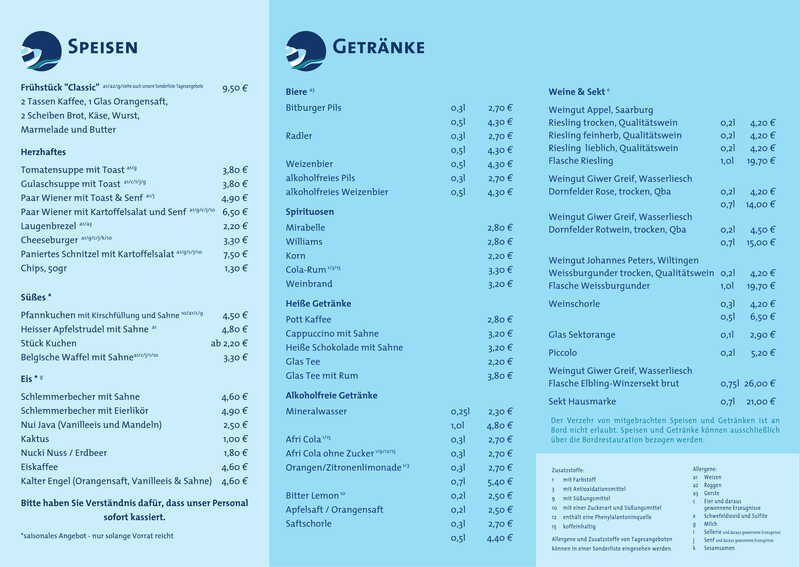 A list of allergens and additives is available at the food services counter on board. 2 hard rolls, 2 slices of bread, 1 croissant, egg, ham, cold cuts, cheese, jam & butter, coffee, 1 glass orange juice, 1 glass sparkling wine.